From the Star Wars collection by Vandor. Star Wars 4 Piece Wooden Coaster Set. This Item is in stock and ready to ship. You should not postpone your purchase and miss out on adding Star Wars 4 Piece Wooden Coaster Set to your Star Wars collection! From the Star Wars collection by Vandor. 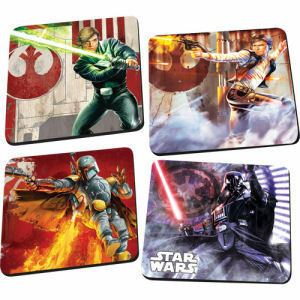 Star Wars 4 Piece Wooden Coaster Set. Set includes 4 laminated wood coasters with non-slip cork backs featuring individual designs. 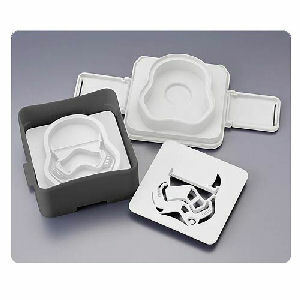 Vandor Star Wars Household Items shipping from Canada. No Surprise Border fees or Customs!